Mr. Perry also currently serves as a director of Servicesdot.com. He has 33 years of healthcare start-up, operations, finance and information systems experience. Most recently, Mr. Perry he served as CEO of Servicesdot Limited (a UAE freezone company) to begin building the current Servicesdot.com applications and providing consulting to healthcare entities in the UAE. There he implemented Oracle ERP, Business Intelligence tools and the Intersystem TrakCare EMR/Billing system for a large healthcare organization with more than 30 entities. Prior, he was CFO of Corniche Hospital in Abu Dhabi for 3 years. Mr. Perry has been a part of four previous start-ups with his most successful being IASIS Healthcare, where he initially raised $800 million in equity and debt financing to acquire the original 15 hospitals. This was later acquired by Texas Pacific Group (TPG) for almost $1.5 billion. During his career, he has played significant roles in many great healthcare companies throughout the USA, including, CEO of BulldogIT, which was one of the first ASP models (2002) for healthcare with an integrated system containing an EMR, Billing, Financial and Business Intelligence tools. 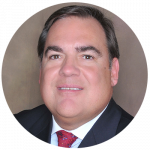 Mr. Perry began his career, first 11 years, at Hospital Corporation of America, its sister company HealthTrust and then back as Columbia/HCA. During this time served in many roles including Division CFO Utah Division, Director of Capital Management, HealthTrust, and in various audit roles where he began his career. Mr. Perry has an MBA from Mississippi State University and BS in Accounting from Tennessee Technological University. Currently serves as Founder and Imaging Informaticist and Radiologist for ORA Informatics providing innovative consulting services to physicians. 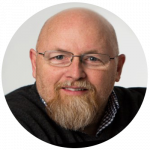 He has significant experience in using systems and data to improve medical treatments for his patients and is focused on artificial intelligence and machine learning in a clinical environment. Dr. Vachon has served in many leadership roles during his 16 year career in Navy Medicine. Dr. Vachon has training in Orthopaedics and Radiology. He served as a Naval Flight Surgeon Instructor and is Board certified by the American Board of Radiology. He has been recognized multiple times during his distinguished medical military career. He is well published and and his research and publications have included many topics in Orthopaedics and Radiology. 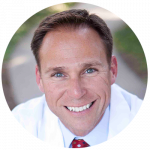 Dr. Hultman currently serves as Professor of Plastic Surgery, Director of Burn Services, Johns Hopkins Hospitals. 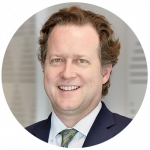 Also, he serves as Vice Chair of Strategy, Department of Plastic Surgery, Johns Hopkins University School of Medicine, Baltimore, MD. Previously he served in many distinguished roles including as Professor of Surgery with Tenure, Divisions of Plastic Surgery and Trauma/Critical Care/Burn Surgery, University of North Carolina School of Medicine, Chapel Hill, NC. He graduated from Brown University, and obtained and Executive MBA from Kenan Flagler Business School, University of North Carolina. He received his MD from University of Pittsburgh School of Medicine with completed his training in General Surgery, Surgical Critical Care, and Plastic Surgery at both University of North Carolina Hospitals, Chapel Hill, NC, and Emory University, Atlanta, GA. He has numerous other professional experiences including a Surgery Center start-up company with interests in clinical systems and artificial intelligence for use by physicians. He has published over 100 research papers during his distinguished career, related to numerous topics including burns, plastic and reconstruction surgery, surgical education, and the business of surgery. Michelle is a family nurse practitioner, board certified by the American Nurses Credentialing Center and currently licensed to practice in the sates of; Tennessee, Kentucky, Florida, and Illinois. Michelle began her career in nursing in 1986 and has been a Family Nurse Practitioner since 2013. Her previous experience includes work in Hospitals, emergency rooms, physician offices, and employee and urgent health clinics. Michelle is qualified to diagnose and treat a wide array of conditions across the entire lifespan. Since 2000, Mr. Pomeroy has served as principal of Pomeroy Marketing/Communications. In 1998, he was a founding member of the management team of IASIS Healthcare Corporation. From 1998 to 2000, Mr. Pomeroy served as Vice President of Strategic Planning and Director of Communications for IASIS Healthcare Corporation. At IASIS, Mr. Pomeroy directed media, marketing and communications activities. From 1990 to 1998, Mr. Pomeroy was a principal of Paine/Pomeroy, Inc., a private marketing and public relations firm. He has extensive healthcare marketing and media relations experience serving a range of customers including Concentra Managed Care, Focus Healthcare, Centerstone Community Mental Health Centers, Censis Technologies and First Notice Systems. He has 33 years of experience in strategic planning, marketing, branding and communications initiatives. Currently, she is the owner of ASC Medical, LLC in Nashville, TN. ASC Medical buys closing or failing physician practices, refurbishes the capital medical equipment and helps healthcare professionals open new practices at a fraction of the cost. Previous, she was an original member of the finance executive team at BulldogIT, an information systems company. Additionally, she was the founder in 1995 of Choice 1 Medical Distributors, LLC. a capital equipment and consumable supply company that was a start-up in Nashville, TN. She is an expert in healthcare medical equipment and supplies with a strong sales background. 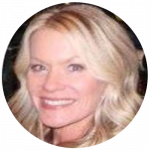 She has 20 years of experience in collaborating with healthcare CEOs, CFOs, physicians, and practice managers to provide practice resources ranging from capital equipment and supplies to medical waste disposal, practice personal training, and practice acquisition efforts. Currently, Owner of GT Tech Solutions, which provides programming development services. He has been instrumental over the past three years in the development of the Omnipresent HIS. He has 10 years of programming and project management experience. 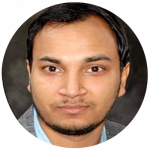 He has significant experince in C#, .NET, Sql, HTML 5, APIs, and High Charts, which are all used in our applications.